This takes me back to my youth in KL and we had the 'yee-sang' to go from this exact same place. Wow! Btw, the coloured deep-fried strips I think are dyed taro/tapioca strips. Have been able to do a rather shabby version here in N America with smoked salmon, and using babyfood apricot(don't laugh, it works!) as a base for the dressing. I totally agree with the need for lots of the very best sesame seed oil. Wow. Wow, wow, wow. Mmmm -- would so love to try it! My sister and I just did it in NYC out of a box from Singapore (adding the shredded veggies, raw salmon and grapefruit). It was pretty good, but this would be the real thing. Sigh! My dad loooooves the yu sheng my mom makes, but even though they were both born in Malaysia, their version is very different. It doesn't have the slices of fish, focusing instead on finely shredded (my mom actually does this by hand to maintain the crispness!) apples, jicama, carrots, cucumbers and pickled onions. This is topped by toasted peanuts and the sauce. The only change my mom has made over the years is using apricot or peach jam for the sauce; they stopped importing the plum sauce she used to use to the US. btw, love your site! Like you, after having blase yee-sang, I was content to never have it again. The cultural importance notwithstanding, I just couldn't bear the utter lack of imagination and care that went into the dish that I had. But you have restored my faith in the availability of proper yee-sang. One wonders if it can only be eaten during CNY. Chris - small world! Sek Yuen was, in fact, doing a roaring takeout business the day we were there. I love that, instead of the dyed red tapioca crispies, they use red pickled ginger strips instead. Babyfood apricot? Well, who am I to say? Jennifer - you've got to be in KL at CNY sometime so you can try it. tingsting - thanks, and interesting, your mom's version. Apricot seems to be the substitute for plum sauce, judging from yours and Chris' comments. Nate - It's only served at CNY. And, having now had a properly made version, I can see why. Such a labor-intensive dish could never be whipped up to order. 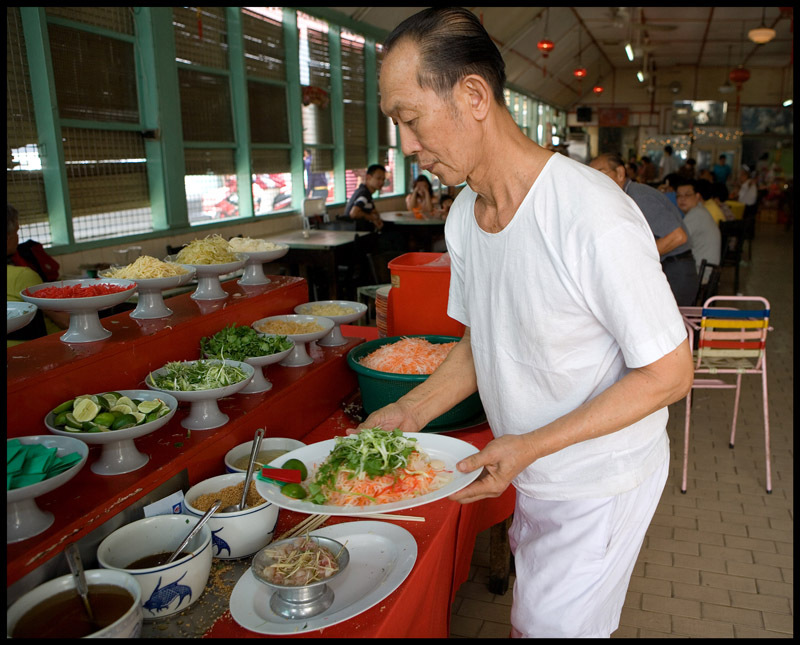 Ah, the old school yu sheng. Hard to find it in other restaurants nowaday. So interesting to hear what yu sheng should taste like! I ate it for the first time in Singapore a few weeks ago - a day after sitting in a hawker center watching workers from two stalls put together hundreds of "kits" at high speed - and was totally underwhelmed, It was oily, flat-tasting and very, very sweet. CNY in KL next time! 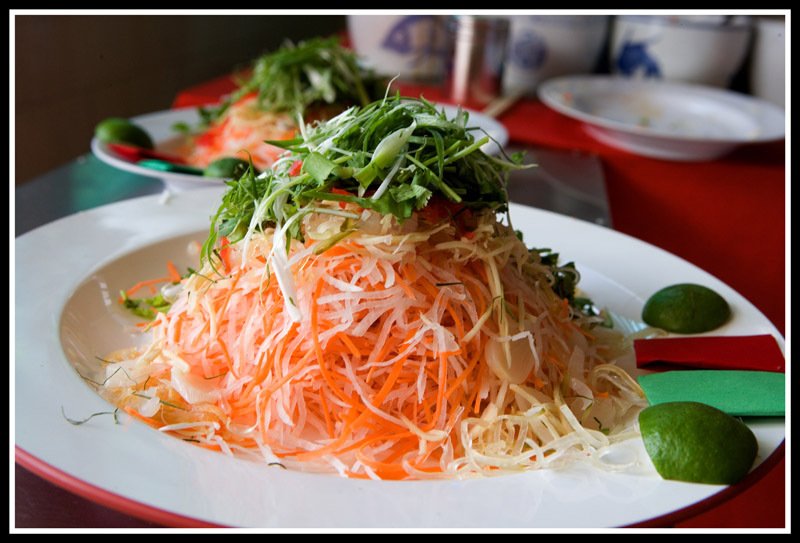 I have never known of this yu sheng dish for CNY, though I came across similar dishes in Chiuchow restaurants. Could it be originating from that region? Wonderful blog post and article, thanks, both printed for future reference! 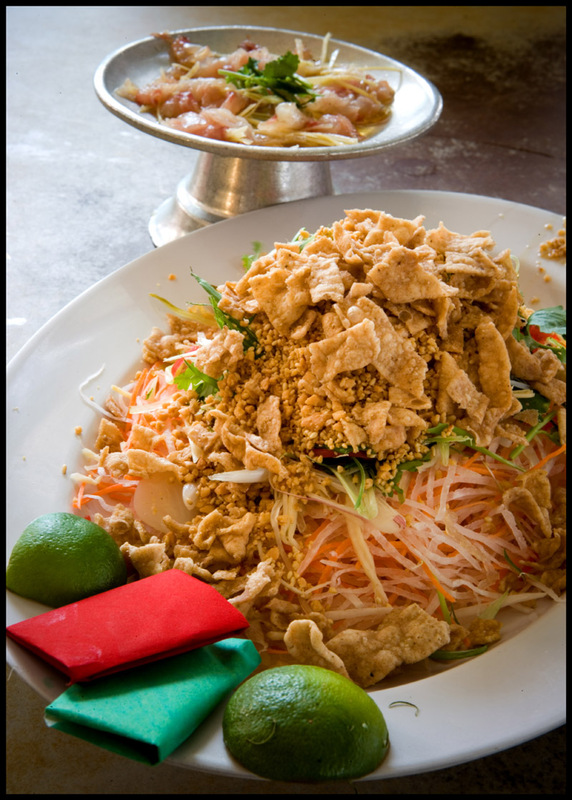 I've had two excellent yee sang experiences, oddly enough both in New Zealand, although I've eating extensively in Singapore and Malaysia. Here at home I've had yee sang in a Malaysian restaurant in Auckland and in a Singaporean family home in Christchurch (where we all participated in the preparation). Our Asian food stores here in NZ are excellent and it is no problem to find ingredients. This year I made yee sang for my family in Melbourne (for 'western' NY). The kids loved both the food and the experience ("lo hei, lo hei!")! Thank you for the amazing job you do sharing your experiences - very much appreciated by this 'ang moh'!!! 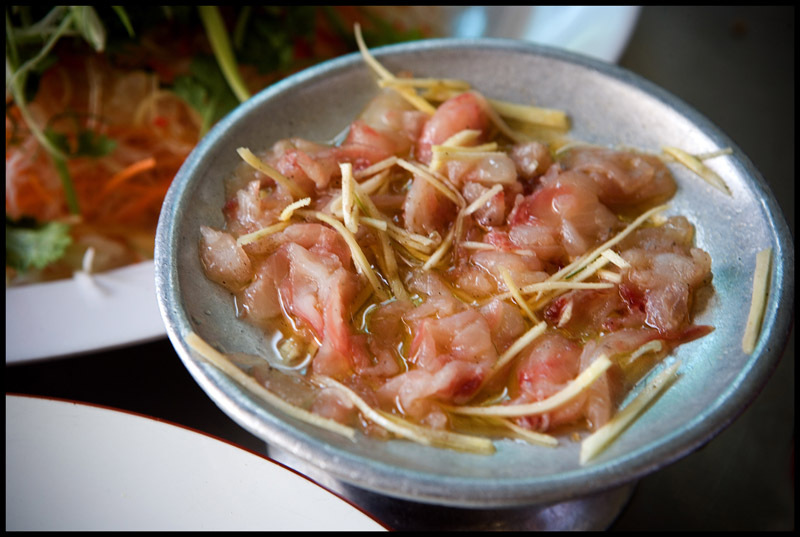 What is the dish that you've come across in Teochew restaurants like? Hi Stephanie - thanks so much for the kind words. Funny that you'd find an agreeable version at a Malaysian restaurant in NZ when good versions -- or what I would describe as "good" --- are so few and far between in Malaysia. Thank you for reading!